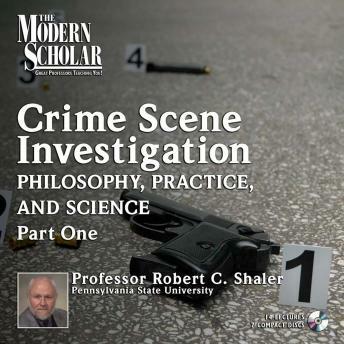 The director of the Forensic Science Program at Pennsylvania State University, Professor Robert C. Shaler leads a comprehensive study of the intricacies of an intriguing, and always topical, science. In these lectures, Shaler imparts a clear understanding of crime scene investigation, from archiving the scene to the presentation of evidence in court proceedings. Covering everything from fingermarks and bloodstains to 3-D imaging and microbial forensics, the course is an essential guide for anyone intrigued by this riveting subject. Good book, well written, excellent knowledge. Laid out in easy to understand step by step methods that I think anyone can find useful!